24823 CCW002.jpg 500X638\CCW002.jpg 24825 CCW002_1.jpg 500X638\CCW002_1.jpg 24824 CCW002_2.jpg 500X638\CCW002_2.jpg 24826 CCW002_3.jpg 500X638\CCW002_3.jpg 24822 CCW002_4.jpg 500X638\CCW002_4.jpg Send A Hint! 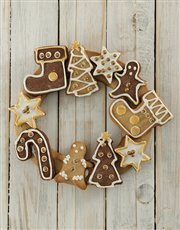 Let someone special experience the deliciousness of vanilla and ginger this Christmas with this Golden Ginger & Chocolate Cookie Wreath. 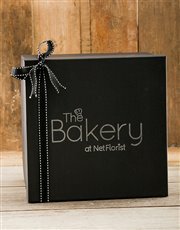 Eight gold and brown decorated vanilla and chocolate cookies are stuck to a baked ginger cookie ring to resemble an edible Christmas Wreath, and then packed into one of NetFlorist's luxury black keepsake boxes. 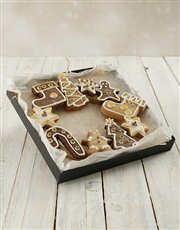 This wonderful creation is perfect as a Christmas table centre decoration which will allow friends and family to tuck in and enjoy. 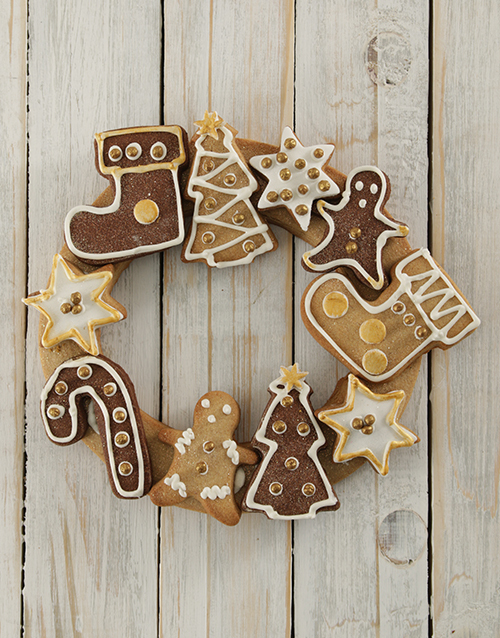 There is no better way of wishing someone a Merry Christmas, so get sending! 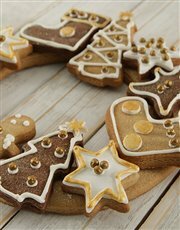 Allergens: Wheat, gluten, sugar,eggs and dairy. All our products are Halaal. 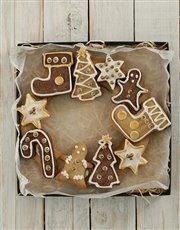 Get this Gold And Ginger Christmas Cookie Wreath delivered with NetFlorist.